This simple torta al testo recipe may not require many ingredients to pull off, but its uses are numerous. 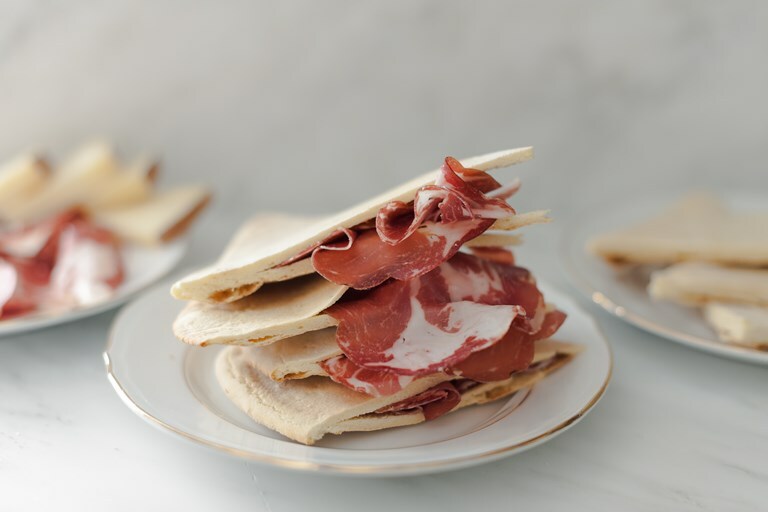 Cut in half and stuff with Umbrian cured meats and cheese for a simple sandwich, or serve alongside soups and stews to mop up any delicious juices. Torta al testo, also known as crescia, is a traditional unleavened bread hailing from the heart of Umbria, in central Italy. Its origins date back to the Roman Empire, when these round flatbreads were cooked on large brick disc called testum. These days, the name testo refers to the cast iron pan on which the torta ––a word otherwise associated with ‘cake’–– is traditionally cooked. Lacking a testo (or similar pan), the next best thing on which to cook this torta is a pizza stone. In a hot oven, the torta is ready in a matter of minutes and with very little hassle. Truly, it couldn’t be easier to make. 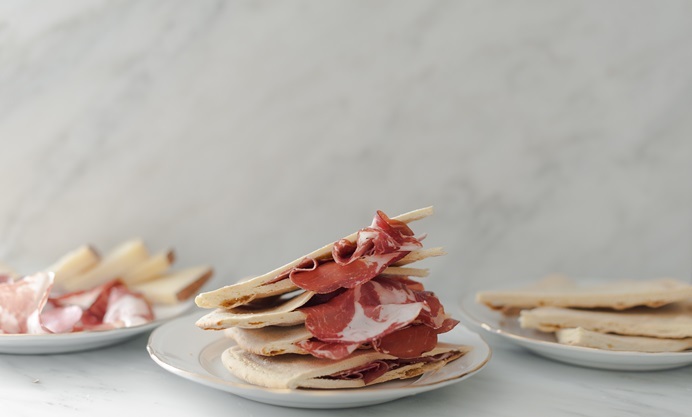 Torta al testo is best enjoyed freshly made, as a snack or antipasto, alongside your favourite cured meats and cheese. Pecorino and prosciutto di norcia are natural pairings.